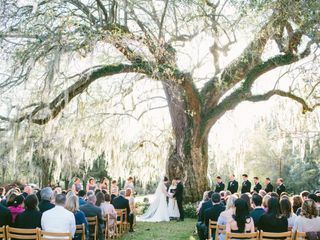 Modern Trousseau Charleston is located in the heart of historic King Street in Charleston, SC. 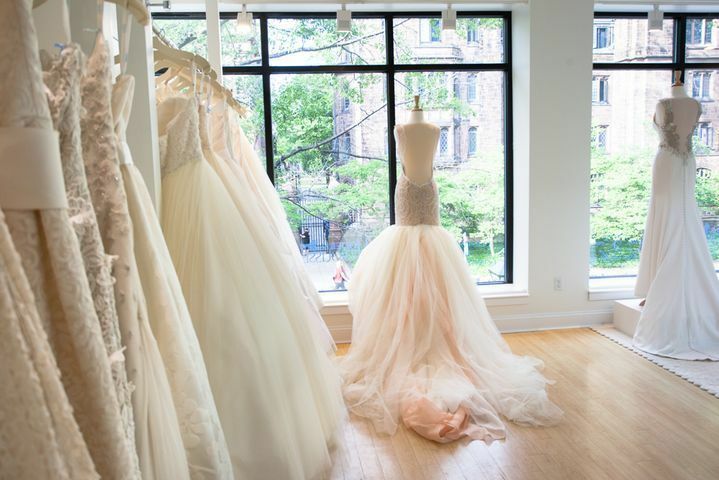 Our elegant bridal boutique provides a custom gown shopping experience in a relaxed setting. 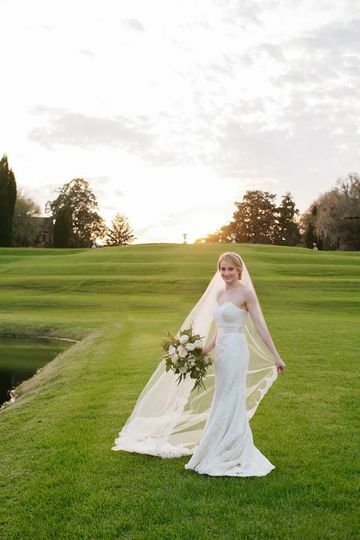 The southern charm of our expert bridal consultants will will make you feel right at home as you browse through our impressive collection of couture gowns. The hallmark of a Modern Trousseau bridal gown is customization. 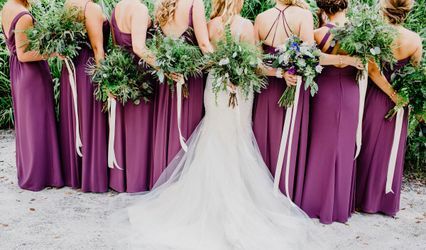 We offer a range of custom selections to choose from, including color accents, trimmings, skirt shapes and strap selections, along with the ability to mix and match styles. 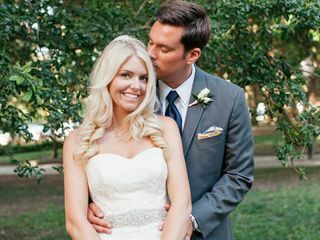 You may also shop for veils, hair accessories, and sashes to perfectly coordinate with your dress design. 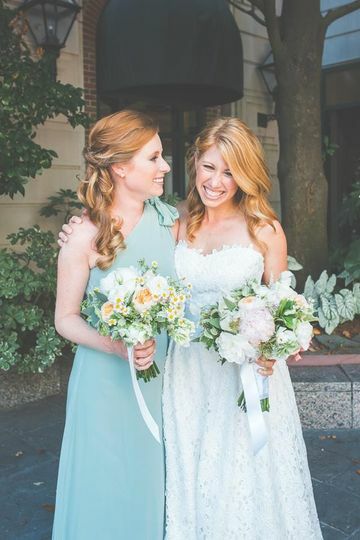 Once your choices are made, and detailed measurements are taken, your gown will be constructed with love and care by our family of seamstresses at our Connecticut atelier. We guarantee a perfect fit, as well as exceptional silk, lace, and trim. We invite you to experience couture bridal first-hand. 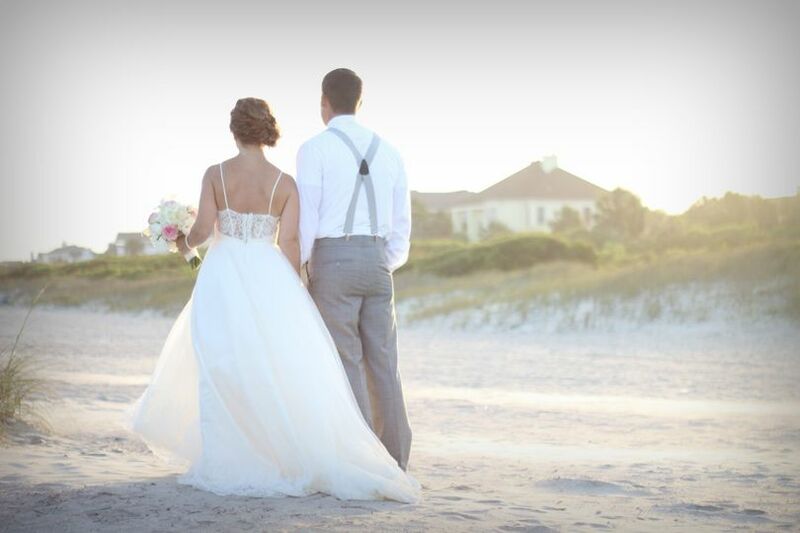 Schedule an appointment today to begin making your wedding visions a reality. 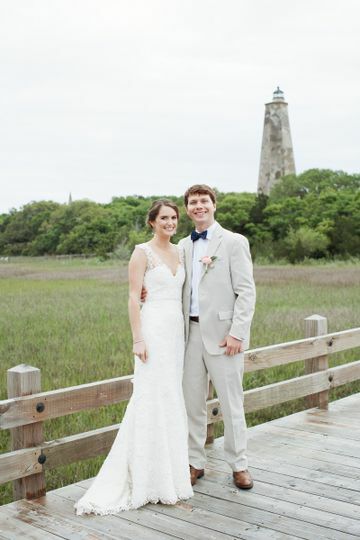 Real bride, Geneva, wears a custom &apos;Monroe&apos; gown by Modern Trousseau Charleston. 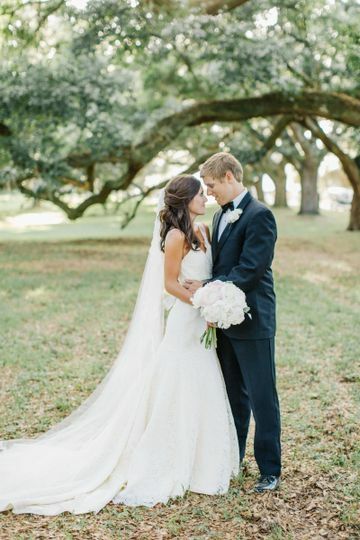 Real bride, Lauren, wears a custom lace bridal gown by Modern Trousseau Charleston. Our bride wearing Modern Trousseau&apos;s "Jessica" gown. 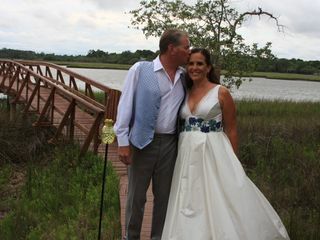 Charleston bride, Kerry, wore Modern Trousseau&apos;s Mika gown for her 2012 wedding in South Carolina. 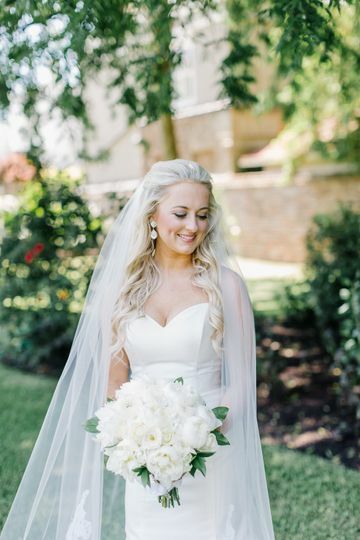 Our bride wearing the "Portia" gown. 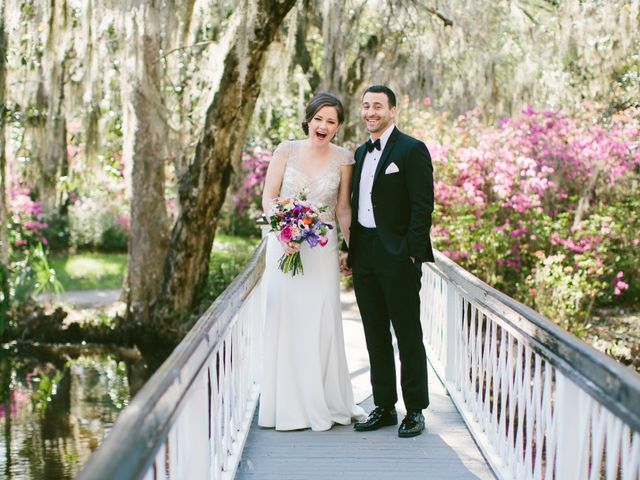 Modern Trousseau Charleston is located in the city&apos;s charming Upper King Street district. 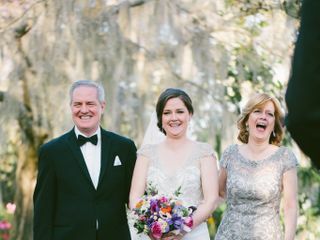 Charleston&apos;s selection of couture bridal gowns. Modern Trousseau&apos;s "Mika" gown in the foreground. 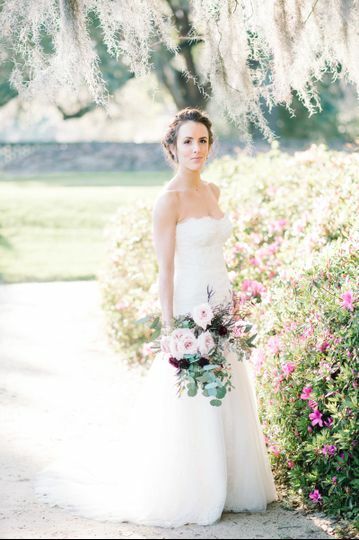 Shop for couture bridal gowns in the comfort of Charleston&apos;s elegant showroom. Loved my dress! Every little detail just the way I wanted it. So much more fun than picking a pre-made dress. I got to choose the style, the fabric and all the little extras. 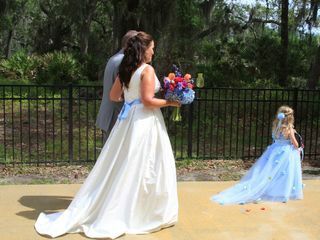 My dress fit like a glove and was perfect for my day. They are so nice and made every fitting session so enjoyable. Beautiful dresses, made just for you. 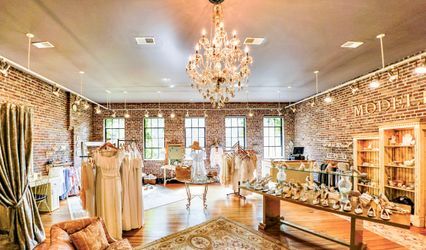 Modern Trousseau in Charleston was a refreshing way to shop for a bridal gown for me. 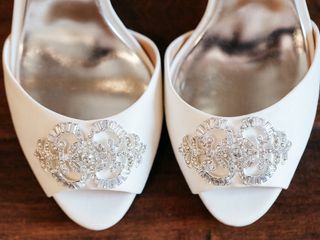 I had been to a few bridal boutiques but everything was crazy expensive, the samples were so far off size and length-wise that you couldn't tell if they were a good look or not, and most dresses just all looked the same. I found Modern Trousseau while looking for blue wedding dresses on Instagram and ended up trying on 4 dresses from their Spring 2018 collection in June 2017. 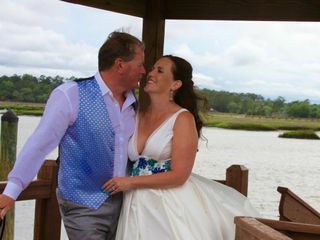 Being a designer brand with flagship stores made the experience of finding "the one" a really good one - they could customize all the pieces of your dress to meet your tastes and they had the flexibility to work with me on price to stay within my budget. 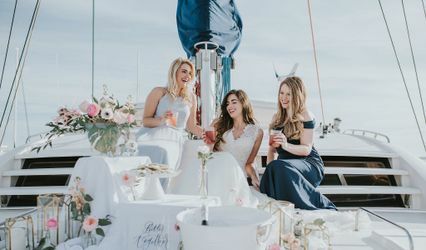 I would definitely recommend them to any bride who isn't looking for a run-of-the-mill dress finding experience. 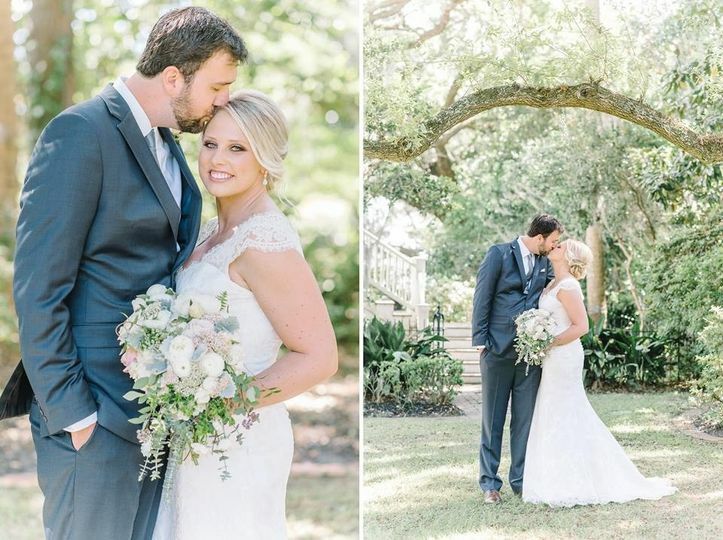 By far the best experience I had wedding planning! They change anything on your dress- including up to the day before the wedding like I needed. They are the sweetest people and can't thank them enough for my one of a kind dress! Beautiful, bright showroom in fabulous Charleston shopping district. 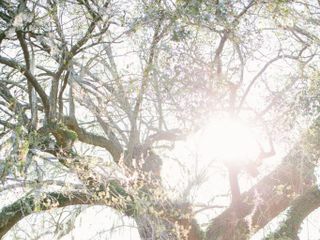 Modern Trousseau carries entry-making, ballgown styles to casual, destination-wedding styles — a fit and silhouette for every bride. Fantastic customer service, and a very knowledgeable staff. All gowns are custom made to order, and may be adjusted to suit individual tastes. 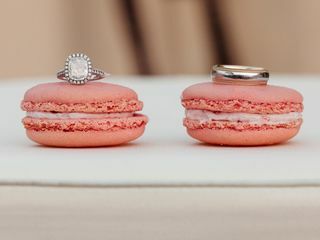 Expect celebrity treatment at this couture bridal shop.